In May 2006, Nature Iraq Started a project to study water buffalo in the marshes of Southren Iraq. The goals of this project were to provide needed information regarding the status of bufflo following the reflooding the marshands, as well as gathering basic data for future plans and studies. Preliminary Field, Lap Report and results by Korsh Ararat, Raid Abdul Mehdi, Haider Ahmed Falih, and Ali Mohammed Maher and edited by Anna Bachmann and was done in September 2008. Darbandikhan Lake is one of the three largest lakes in the Kurdistan Region - Iraq. This lake and the surrounding areas is a biological divers area for wildlife and listed as an important Bird Area in Iraq by BirdLife International. Many people benefit from this lake and it's waters for drinking, irrigation, fishing, and as a beautiful site used by many for recreation. Also, the Darbandikan Dam is an important source of electricity. Darbandikhan Lake is currently at a high risk due to pollution by sewage and municipal wastes. It's water level threatened by current severe drought affecting the region as a whole and by work in Iran to install a dam on the Sirwan River and other dams that have been already constructed. This report is based on a survay that was conducted in June 2008 as well as a review of a past work with the effort and support of many people. The Habitat Project started as an idea from Nature Iraq's Italian pratners. The goal of this project was to moniter the Iraqi marshlands in a new way by applying remote sensing and satellite imaging technology. This would lessen the efforts and the needs to make monitoring and field trips except in cases where satellite images show some changes in the area. To carry out this project, the work was divided into three steps: first; discussions and planning, second ; land cover survey, and third; description or definition of habitats. 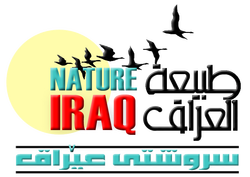 This program started in 2005 as part of a partnership with the Iraqi Ministry of Environment and international experts and support from BirdLife International, the Canada-Iraq Marshland Initiative, the Italian Ministry of Environment, Land & Sea, the Ford Foundation, UNDP, OSME, RSPB, British Birds and many others. 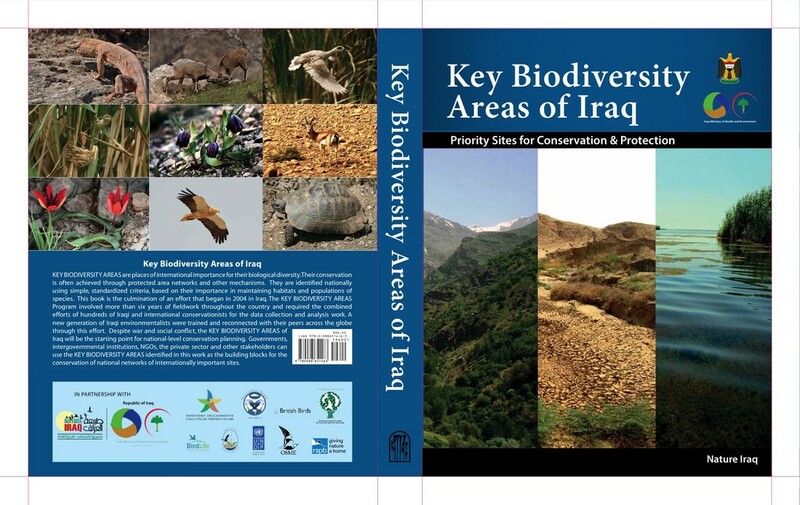 Most of the field work ended in 2010 and a book of the findings from the program is in preparation, which lists over 80 Key Biodiversity Areas or KBAs throughout Iraq. The summary of the book is provided here but for more information on the KBAs of Iraq please contact anna@natureiraq.org. Water management issues in the Middle East will continue to be a source of tension in a region that suffers no lack of causes for conflicts. The current problems posed by the Mosul Dam may be an opportunity to show how a collaborative region-wide solution can become a first step on the road to new ways of imaginative thinking in the region. The first book in 35 years to describe the conditions in the Mesopotamian Marshlands, Eden Again by Suzanne Alwash, a founding member of Nature Iraq, covers in detail the ecological and human disaster of marshland drainage during the 1990s and the miraculous comeback of this unique wetland after 2003. The work also chronicles the beginnings of Nature Iraq, featuring interviews and research by many of our staff. It can be purchased here or here or here. * To purchase the book contact us. Iraq is considered one of the main pathways for migratory raptors passing through to wintering grounds in Arabia and Africa. There are also a lot of resident abd breeding birds of prey. Forty-seven species of birds of prey (including owls) were recorded in Iraq. Every year the local animal markets in Iraq exhibit thousands of captured wild birds from small passerines to large birds of prey. The International Union for Conservation of Nature (IUCN) have Red List for endangered species that frequantly present at the markets. Exclusive information was also obtained from hunters/trappers, falconry associations, and animal shop owners about the main species targeted and sold during 2009-2010. In order to develop future conservation efforts to protect falcon species, one goal of these surveys was to determine which species were most popular and prized for capture and sale. This article presents a summary of environmental issues in Iraq, with a particular emphasis on water, air quality, land use, and biodiversity. Fast and immediate remedies should be put in place to prevent further degradation of ecosystems in Iraq and start the healing process. Scientific research on mammals in Iraq has not been conducted in over 30 years and requires special training, methods, and equipment not currently available within Iraq. Based on current knowledge about the conservation status of many animals, we must conclude that the local conservation status of many of these species within Iraq is potentially threatened. The native mammals of Iraq pose no significant danger to humans, display a very low incident rate for rabies and other diseases. This article shows the decision of building the Illisu Dam on the Tigris River in Eastren Turkey. This Dam is a part of wider project called the Southeastren Anatolia Project, or GAP, in order to bring development to Southren Turkey. However, in order to do the project, more than 83 archaeological sites including the ancient town of Hasankeyf and between 50,000 to 80,000 people will have to relocate. The Dam will also affect many vulnerable species that call the area home. Last but not least, the Dam will affect the amount of water coming to Iraq and its quality. working with captive andfree-living wildlife in the Middle East region. This booklet provides a snapshot of the natural and human environment of Peramagroon mountain near Sulaimani in Iraqi Kurdistan. It is intended provide a stimulus to encourage research aimed at providing data to underpin informed decision-making on matters concerned with sustained rural livelihoods and conserving the rich biodiversity of Kurdistan. It is hoped that the booklet will also be of interest to a wider audience by giving a picture of the present environmental and cultural status of one of the most beautiful areas in Iraq. Iraq is rich in biodiversity and biological heritage. For its size Iraq has an enormous wealth of landscapes and habitats including everything from snow covered mountains, majestic rivers, arid deserts and plains, montane woodlands and grasslands, luxuriant agricultural regions to the unique marshlands of the south. Iraq also has a rich cultural heritage. The first cities in the world were established in ancient Sumeria in the south of the country. Agriculture was invented over 10,000 years ago in the northern mountains where crops such as barley, wheat, peas and lentils were first grown. This great diversity of habitats together with the impact of man over thousands of years has shaped the present day environment of Iraq and has resulted in the development of a remarkably rich “biodiversity”, that is a large number of different types of plants and animals. “Do recent leopard Panthera pardus records from northern Iraq and south-eastern Turkey reveal an unknown population nucleus in the region?” article has been published in Zoology in the Middle East Volume 62 No. 2, June 2016. Batur Avgana, Hana Raza, Muhammadsaddik Barzani and Urs Breitenmoser. As a baby, Hana’s family fled to the mountains of Kurdistan to escape a brutal regime. As an adult, she returned to create a safe haven for a threatened leopard. ​Read more about the article.. Environment Friend Book, is the coloring book that has been released by Iraq water-keeper environmental law and advocacy project for Elementary students in Kurdistan region of Iraq.